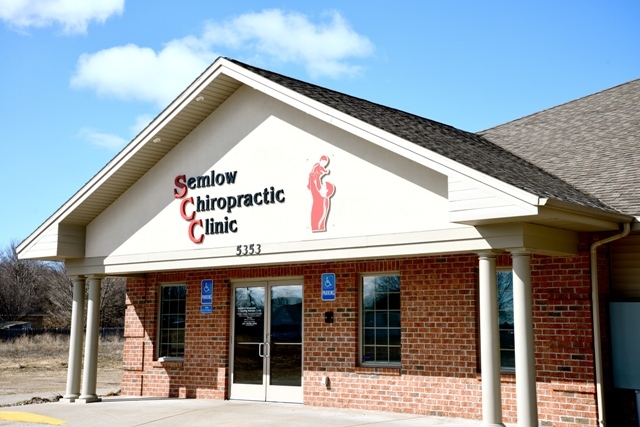 Located in the heart of Muskegon, the leading health professionals at Semlow Chiropractic are dedicated to helping you achieve your wellness objectives -- combining skill and expertise that spans the entire chiropractic wellness spectrum. Dr. Scott Semlow is committed to bringing you better health and a better way of life by teaching and practicing the true principles of chiropractic wellness care. Patients seeking treatment at Semlow Chiropractic with Dr. Scott Semlow are assured of receiving only the finest quality care through the use of modern chiropractic equipment and technology. Dr. Scott Semlow and the staff have a genuine concern for your well-being! If you are new to our website, please feel free to discover and learn about chiropractic wellness. If you are interested in starting your journey towards wellness please subscribe to our award winning newsletter. If you are already a newsletter subscriber, please explore the member wellness section of our website for wellness articles, resources, and health facts---specifically targeted by Dr. Scott Semlow to your wellness needs and interests. The Pro-Adjuster is the most advanced piece of chiropractic evaluation and treatment equipment available. It uses the latest technology to determine if each segment/spinal vertebrae is in proper alignment, so the nervous system is free to effectively support nerve impulses throughout your body. If you suffer any of the following seven signs: stress, headaches, fatigue, sleep disturbances, sinus and allergies, mode swings, pain and digestive troubles, we invite you to call our office for information regarding this amazing technology.